Evaluate your data centre security strategy against today's industry trends with this Infonetics Research report. Get an in-depth look at the security plans of organisations that operate their own data centres. 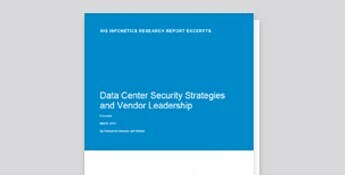 The study covers data centre security purchase drivers, deployments, speed and throughput requirements, spending plans and suppliers, and features how enterprises’ rank. See how your security data centre strategy compares.